Melt the butter at low temperature. Mix eggs, sugar and melted butter. And optonally, yoghurt / cream. Mix the wet and dry stuff into a batter. Put 1/3 of the batter into the cocoa. Put the light batter into the form. Gently add the dark batter on top. Marble it with a finger or the shaft of a spoon. It does not have to look perfect. It changes when it is baked. Bake 25-30 minutes at 170 degrees. It is small so it dries out faster than normal. Adding the Yogurt / cream makes the cake more moist. 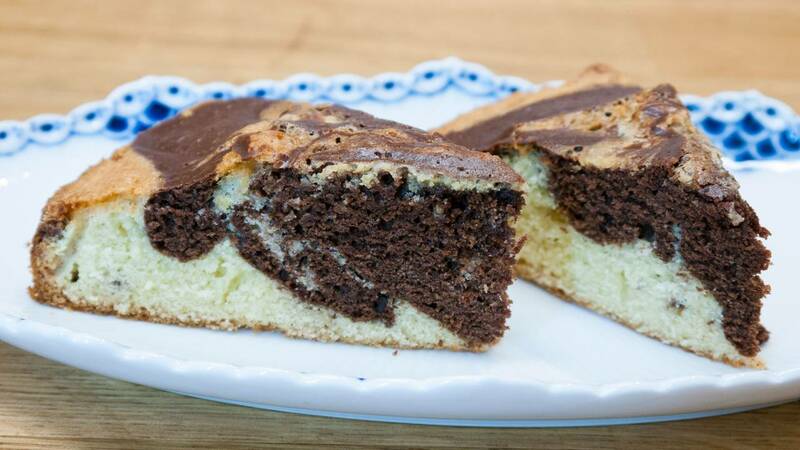 In a normal sized marble cake, you add three layers as "light > dark > light" but you cannot do that with the little dough there is here. 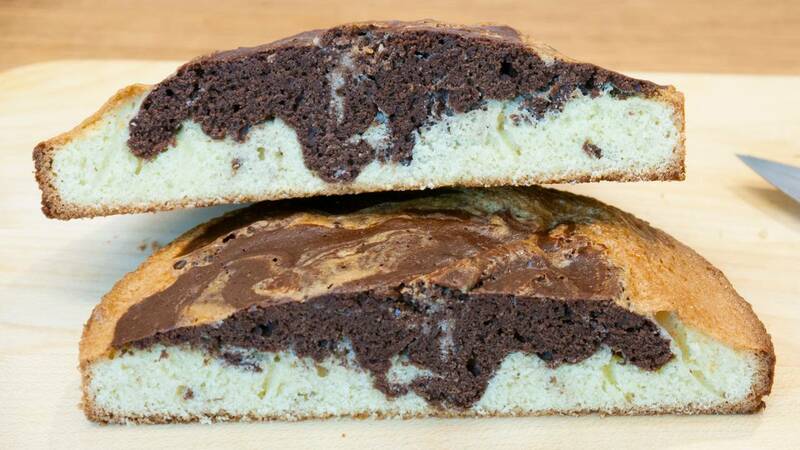 You can also use a loaf pan for the cake. It works well with gluten-free flour. Or even better with a 1: 1 mixture of almond flour and corn starch.